Hot tub retailing specialists have been boosted by a poll of over 1000 UK adults that resulted in a private hot tub or pool being voted the number one ‘must have’ luxury holiday home amenity. Ahead of the Easter holiday break, research by the team at www.BlueChipHolidays.co.uk has revealed that 34 per cent of respondents would choose a private hot tub or pool as their most treasured holiday luxury, while 31 per cent voted for a private garden or balcony in second place. The top two ‘must have’ luxury amenities were far ahead of ‘Dog Friendly’, with 14 per cent; ‘Private Chef’, voted by 11 per cent of respondents; and ‘Log Burner/Open Fire’ favoured by nine per cent of over 18-year-olds questioned in the research. Doric Marketing chief Dorian Davies, pictured, believes that the positive result from the holiday company’s research is an additional boost for the booming wet leisure industry and hot tub retailers who are seeking to build on record-breaking 2015 sales this year. 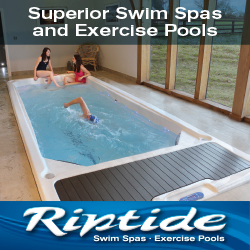 “As we found during the recent SPATEX exhibition, the wet leisure industry is really buzzing at the moment and this research is another boost for hot tub retailers,” said Dorian. “The fact that this research has indicated that hot tubs are now deemed to be a ‘must-have’ aspect of luxury holidays in the UK shows that there is currently plenty of scope to enhance sales and marketing initiatives in showrooms this year. 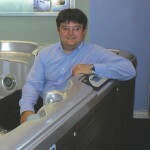 Jacuzzi and Spa Crest dealer Franklin Hill at Malibu Hot Tubs in Stafford is among the many retailers who have reported showroom sales success being enhanced by the large increase of the use of hot tubs at holiday parks and lodges. “We are constantly getting examples of people coming into our showroom and making a purchase the same day after enjoying their first ever hot tub experience so much that they want one for themselves,” reported Franklin. “After using a hot tub on holiday they can’t get to our showroom quick enough to check out our display models after they return home.